Can we be real for a second? Holistic living is not that easy — well, at least not for me. In a dream world, I would love to be able to grow my own herbs, eat nothing but organic and gluten-free treats, do yoga every week, and float around (presumably in a flowy floral frock) picking flowers and crushing them up into face masks to apply on my poreless, hydrated, and blemish-free skin. But the reality is, I’ve lived in New York City for the past decade, so the only thing growing in my apartment is the crack in my ceiling, I've been known to eat more than two bodega sandwiches per week, and no matter how many face masks I apply, the pollution, stress, and anxiety that seeps into my pores is never-ending. Now, most of my lifestyle is predominantly green except for one major part of my daily routine (which just so happens to be the most important one): my makeup. Don’t get me wrong, I’ve tried tons of amazing natural beauty products over the years, I’ve just never used them exclusively. Because I’m a beauty editor, I guess I’ve just always felt more comfortable using certain brands (that just so happen to not be natural) that I know I can rely on for highly pigmented and long-lasting formulas. Being in the beauty industry can sometimes blur the line between what’s good and what’s good for your skin. Stepping back and really evaluating what I’m putting on my skin — the formulas, the ingredients — should be just as important as evaluating what goes inside of my body, though. Maybe, in the spirit of being real, I haven’t done this in the past because I’ve secretly doubted natural makeup. Does it actually work? Will the formulas be long-wearing? Is it going to make me break out? All totally valid questions, I decided that the only way to get answers would be to put on my beauty-editor investigator hat and do a complete overhaul of my makeup routine. After doing some research on the coolest natural beauty brands out there, I finally replaced each and every one of my products with their natural doppelgängers. My new routine looks a little something like this: I start by prepping my skin, which, for me, is a key step as I’m prone to breakouts and my pores are the size of dinner plates (just kidding, sort of). First, I apply the Vapour Organic Soft Focus Skin Perfecting Primer all over, which is made with camellia and sunflower seed oils for a soft, mattifying finish. Then, I go in and tap a light layer of the Tata Harper Illuminating Eye Crème under and over my eyelids; it has a universally flattering, pearl-hued opalescent tint (say that five times fast) and is made with date palm kernel and lavender for brightening around my eyes. 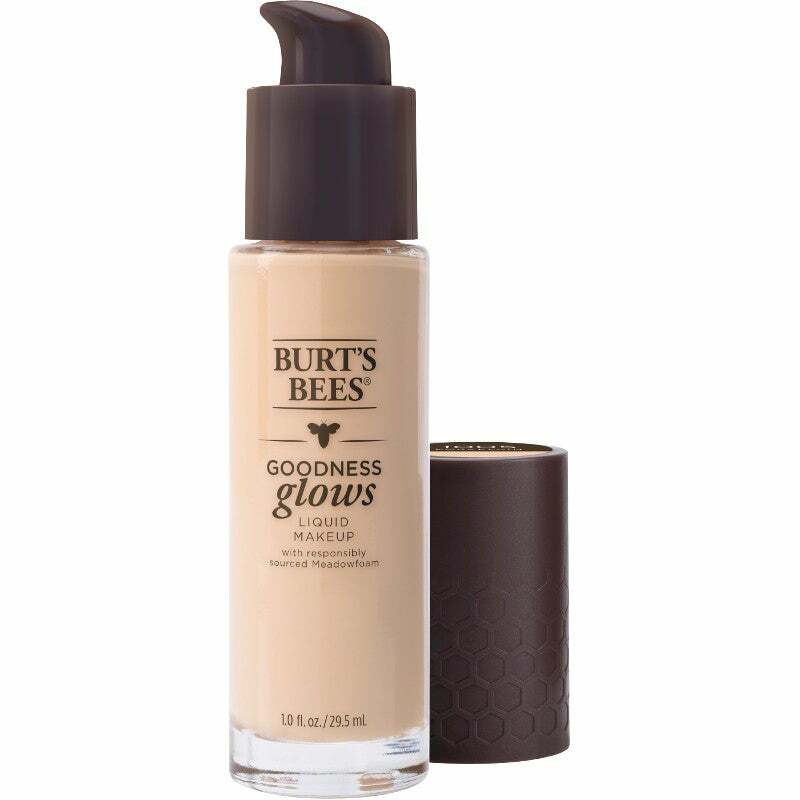 When I finally feel like my skin is ready for foundation, I reach for the Burt’s Bees® Goodness Glows Full Coverage Liquid Makeup, which actually turns out to be my skin’s brand-new secret weapon. Let me explain: Because of my aforementioned skin problems, foundation is a critical product to get right. While I’m used to splurging on the most expensive liquid foundation I can find in hopes that the pricier it is, the more it’ll work, sadly, I’ve not found that to be the case. This foundation — formulated with good-for-your-skin ingredients like meadowfoam seed oil, rather than parabens, phthalates, synthetic fragrances, talc, or silicones — not only keeps my skin hydrated all day, but it also gives me full coverage without that cakey, melty, or streaky look. Plus it didn’t break the bank. I finish off my base makeup by applying the Clove + Hallow Conceal + Correct under my eyes and on any spots that I have. I’m, as the kids say, shook by how incredible this concealer is, since it’s so rare to find a lightweight concealer in the green beauty industry. As someone with oily skin, I’ve historically always shied away from most cream-based makeup products (like blush and highlighter), but I actually ended up falling in love with two of them during this challenge. The first is the RMS Living Luminizer — a cult-favorite cream highlighter — which I dab onto the high points of my cheekbones and along my Cupid’s bow. The second is the Kosas Saturate & Illuminate Creme in 8th Muse blush, which comes with two shades that I mix together to create a hue that perfectly complements my pale skin tone. Come fall, I tend to gravitate towards deep-hued, earthy tones, so next, I build a rose- and plum-hued eye look. Do you even know how hard it is to find red-based shadows with color payoff? Well, it’s no easy feat to say the least — natural beauty or not. But to my surprise, Nu Evolution shadows in Eggplant and Pinot work out quite nicely. Keeping in the fall spirit, I’m always on the hunt for an easy-to-wear, vampy lipstick that I don't have to obsess over keeping perfect all day long. Like my face makeup, I typically prep my lips with a balm before putting on any shade of lipstick. 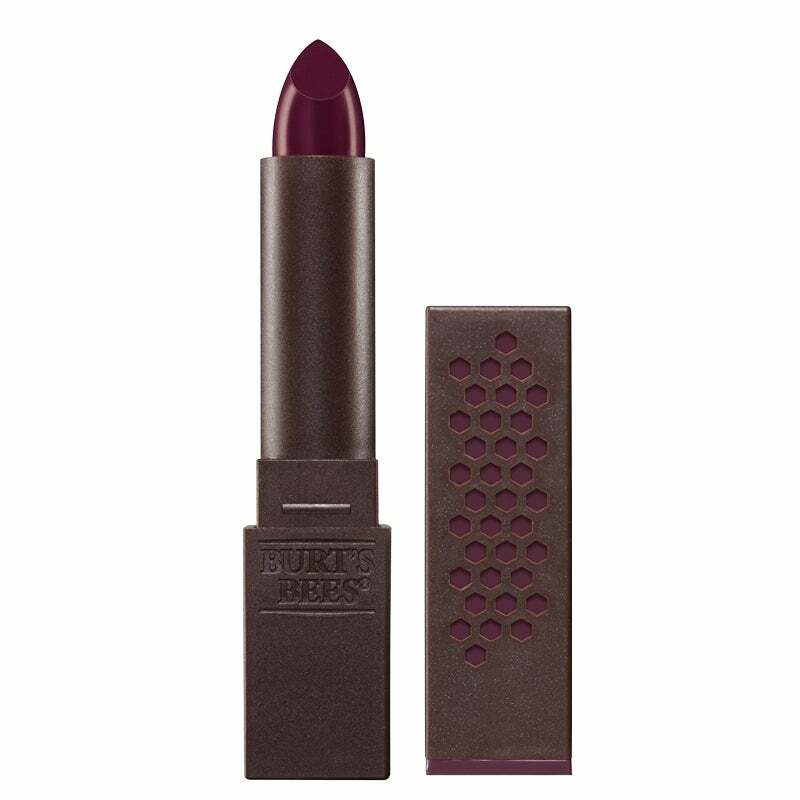 And I found another holy-grail product in the Burt’s Bees® line, this time in the form of its Satin Lipstick in shade Orchid Ocean, which is the most perfect haunted purple out there. But it’s not scary: Since it’s made with 100%-natural moisturizing ingredients like moringa and raspberry seed oils (so you could technically skip the balm if you’re on a time crunch) and features a satin finish, it looks like your lips have been tinted in a gorgeous berry hue. If you’re not into plummy colors, the line boasts an impressive 24 shades in a satin or glossy finish, so you can pick one (or two) that really sings to you. So what were the benefits of switching over to a natural beauty regimen for a week, you ask? My skin feels less congested thanks to the natural primer and breathable foundation, and I have noticeably fewer breakouts and glowier skin as a result. I still get my fix as far as pigment quality goes, and I even found my new go-to fall lipstick. But most importantly, I've had a beauty epiphany, which is: Conscious beauty doesn’t have to be boring. Just because a product is natural, doesn’t mean it’s not going to work or that you need to sacrifice your favorite shades. You don’t have to be schooled in, say, turmeric and chia seeds to make the transition over, either. Moving forward, I’ll definitely be mingling some of my new natural beauty products (like said lipstick) in with my tried-and-true not-natural beauty products (like my beloved black liquid liner) because they actually work and make my skin happy. Even if you don’t live in a major metropolis like New York City, it’s always a good idea to set positive intentions for your self-care routine. The easiest way to start? By making small switches over toward the natural side. Because, yes, it is (surprisingly) easy to be green.